Life @ Yonder > People > Yonderists doing extraordinary things! "The most extreme moment was actually the entire period after I passed the 200 km barrier. I don’t have much experience with long distances, but rather on short and fast rides. Therefore, even with lots of food, water and fruits, my body only accepted sleep, nothing else, so I had to push forward. " Sergiu joined the Cluj Yonder Team as a Junior Developer five months ago and he has been a valuable member of his team ever since, not only as a professional, but also as a supportive presence in their daily Life@Yonder. He is also a member of the NoMad Merida CST cycling club, having won numerous competititons. Every year, during the summer, Cluj comes alive with all sorts of events: cultural, musical, charities, entertainment, and, of course, the most popular of all: the festivals. While most of them are usually built around music and entertainment, some also have an educational and/or ecological component, which brings with it ambassadors of change. We are proud of the Yonderists that embrace ecological ambassadorship and, through their actions, encourage and inspire others to leave a smaller carbon footprint behind. 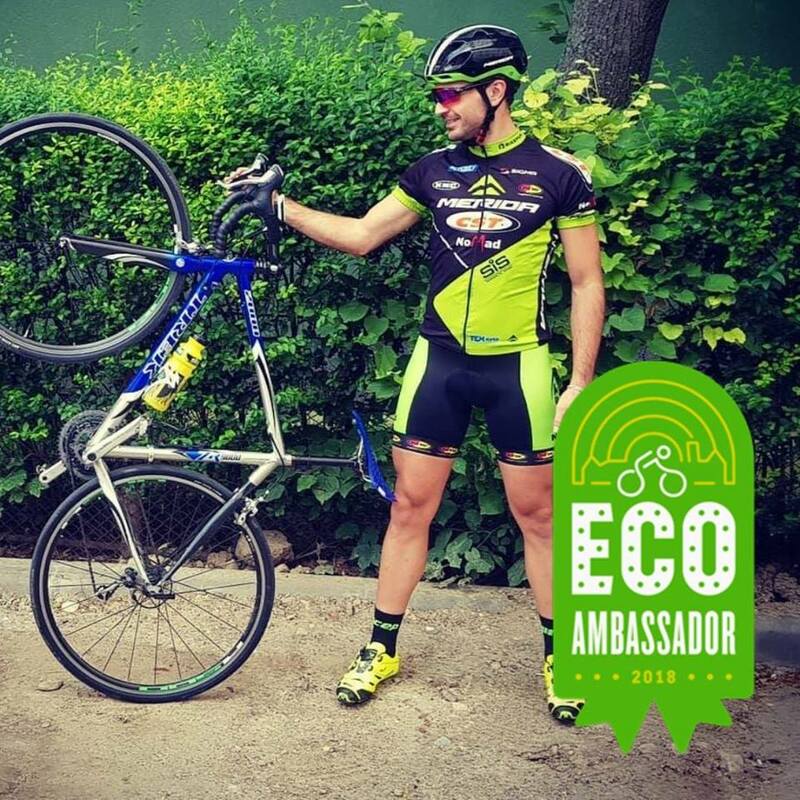 Our colleague, Sergiu, was an ECO Ambassador this year for one of the festivals, riding his bike for almost 300 km in order to raise awareness regarding the importance of choosing more eco-friendly traveling options. Sergiu proved that we can be great supporters of the future of our planet not only on our daily rides, but even when it comes to longer distances. With this in mind, we wanted to discover more about the experience that made him go out of his comfort zone. Yonder: Hi Sergiu. First, congrats! So, 300 km, Suceava-Bonțida, only by bike. What made you decide to take up this challenge? 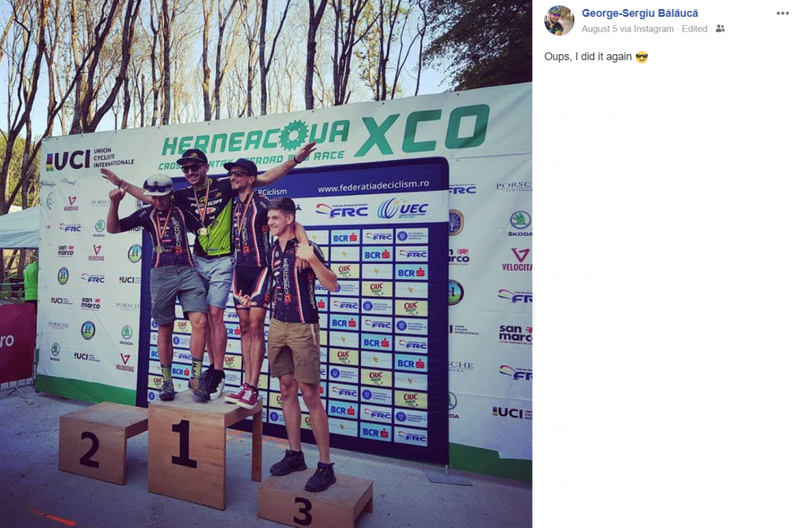 Sergiu: It was actually the perfect scenario to fulfil a long-term goal I had, that of cycling over 200 km in one ride – and went up to almost 300. Apart from that, the route I planned out was one that would have taken me places, cities I used to go through when I went with my parents back to my hometown, Botoșani, so it was more of a trip down memory lane. Y: What were your initial plan and thoughts? S: My initial plan turned out to be also my final one. I tend to go blindly with my first gut feeling, so I filled out the form feeling and knowing I will be chosen. And I was. The plan was to make the trip as quickly and efficiently as possible, to avoid checking the weather forecast, not to get discouraged. Just spin the legs and enjoy the ride, whilst completing a successful training session 😊. I chose the starting point in Gura Humorului, so first I had to take a trip there. My departure was the day before the ride at 10 PM and the trip to Gura Humorului was done by train with an arrival time at 5 AM. My ride actually started at 5:30 AM after a coffee and a small chat with the local dogs. Y: How did you choose the route? S: The route was the most important part of this whole adventure. I could have chosen a different one, of course. There are plenty of beautiful, scenic roads in Romania that could have added up to the almost 300 km. However, the choice was based on my feeling, it was supposed to bring back a diverse range of memories gathered along all the trips I did together with my family and friends. Y: What did you bring with you on this journey? S: My kit had to be as light as possible, taking into consideration that the plan was to complete the ride in 1 day. Therefore, my kit contained the usual stuff that I take with me when I go for a ride, and, in addition, this time I also took a small backpack. To be more specific, I had some basic tools, a pump, two road bike tubes and a repairing kit for flat tyres which proved to be my saviour 😊. I didn’t take any food with me, because I planned to eat along the way from city to city. Clothes? None. I only took what I was wearing. Y: How many hours did you estimate the ride would take and how many did it take in the end? How did you feel along the way, what helped you, what didn’t? S: What I could estimate before doing the ride was the riding time based on my experience. Everything else was a variable. So, based on my experience, I estimated that I would reach almost 30 km/h as average speed and so I did, 29.1. Looking at the whole distance, a maximum of 10h on the road I would have spent…and so I did 😊 The total riding time was 9h 45m. However, I took lots of breaks along the way in order to eat, take pictures and repair flat tyres. I have to say that my biggest fear was the bad weather. The forecast said it would rain the entire day. I got extremely lucky and only in Bistrița I took a short 15 minutes shower. The only enemy was the frontal wind that blew the entire ride. Y: What was the most extreme moment you experienced? S: The most extreme moment was actually the entire period after I passed the 200 km barrier. I don’t have much experience with long distances, but rather on short and fast rides. Therefore, even with lots of food, water and fruits, my body only accepted sleep, nothing else, so I had to push forward. I managed to pull through by locking myself inside my head and my thoughts and by just ignoring the pain. Y: Did you ever feel stuck? What helped you pass those moments? S: I can’t say I got stuck, but I had 6 flat tyres which took me a lot of time to repair, time I could have spent on the bike. These were the most annoying moments of my ride. Y: How many pit stops did you have and how did you use them? Y: How were the sights? Where was the most amazing one? S: I didn’t think I would get surprised by the sights on the road, taking into consideration that I traveled before through these places by train and car. However, doing it by bike is a different story. You are closer to the ground, you feel the cold air in the morning, you could hear people talking on the side of the road and when you are on the highest point at 1200m, on Pasul Tihuța, you get so excited by the scenery that you have to stop for a picture. Y: What is your experience so far with biking? Can you tell us your proudest achievements? S: I am not yet a pro rider, I am a member of the Romanian Cycling Federation, but only as an amateur. I have plans to move on to pro riding, but at the moment I am pursuing a more balanced lifestyle. In the future things may evolve in this direction. I have quite a few achievements in this area, underlined by the trophies and medals hanging on my walls, which always get my visitors’ attention and excitement. I participated in dozens of competitions in Romania and in two in Hungary. I stopped counting podiums and big results, they usually fade away quickly. I’d rather bring back memories of rides with friends or in special places like Sicily. Competitions tend to look alike after a while and now I tend to prefer doing rides like this 300 km one. Y: How did you get to this point, how many hours/years of practice and what did it take to get here in your cycling career? Thank you, Sergiu, and good luck! We encourage all of you to take our Yonderists example and, together, let’s save the world!